You can find different mountain bike from 100 to 10,000. At first, you need to establish your budget for purchasing a cheap mountain bike. Setting a budget makes it easier to find the best bike within your budget. As you are looking for a cheap mountain bike, we assume your budget is under 500. This is a pretty strict budget but don’t worry you may find a decent mountain bike within this price range. For this budget, you may get a hardtail entry-level mountain bike. Sometimes many bike brands give a discount on previous year model bike. In this case, you can get a mid-level mountain bike in the same price of an entry-level mountain bike, so keep an eye on that. It is a good idea to avoid full suspension mountain bike in this price range as its quality will be low. 2. What type of bike you need? Here you need to be realistic about your need. If you select a bike which is not suitable with your riding style then your spent money on the bike will be a waste. If you ride your bike more on the local trail then buying a downhill bike will be a wrong idea. In this case, go for a good quality trail bike. Again, don’t worry about your low budget. On the local trail, any good quality trail mountain bike will get you out from there safe and sound. Just remember, people were used to ride the bike in different trails before full suspension mountain bike ever invented. If your entire bike riding lift serviced of shuttled then you may go for a downhill mountain bike. On the other hand cross country (XC) mountain bike is more for fitness than riding on the trail. This type of bike is used especially for extended climbing and riding rolling trails. Cross country mountain bikes are usually very lightweight and they have only one suspension in front for best performance. Aluminium: Today’s most bike manufacturer uses this type of frame for their bike. Aluminium is lightweight and durable; hence, it provides reliable and good quality all round performance. Steel: Steel frames are also strong and durable but they are heavy material. 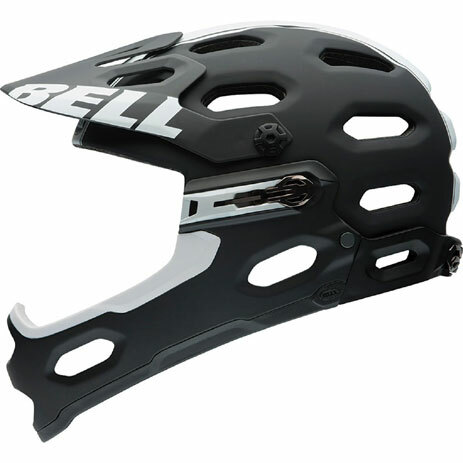 For these reasons, the steel frame is less commonly used in the mountain bike. Carbon fibre: This type bike frame is super light and super durable. However, they are very expensive so only high-end bike uses carbon fibre as a bike frame material. 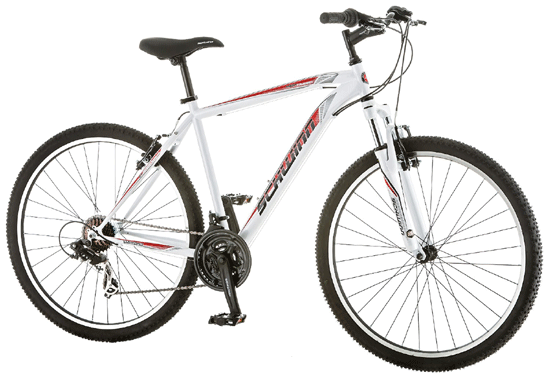 If you are looking for a cheap but good quality mountain bike then you should choose the aluminium frame mountain bike. 4.What wheel size I should go for? There are mainly 3 different sizes of wheels you will find in the market which are- 29, 27.5 and 26 inches. With the bigger 29 inch wheels you can easily roll over obstacles but they are little less responsive and heavier comparing with other wheels size. 29 inches bike wheels are popular among the XC mountain bike rider while downhill mountain bike riders prefer 26 inches wheels. The smaller 26 inches mountain bike wheels have shorter wheelbase which meets all the need of a downhill mountain bike. The newer 27.5 inches wheels are introduced in the mid-2000. This new wheel size has become very popular among the trail and downhill mountain bikers. As you have established your riding style and budget now it’s time to try out the different bike. You can buy your desired bike from the local shop as well as from the online marketplace. 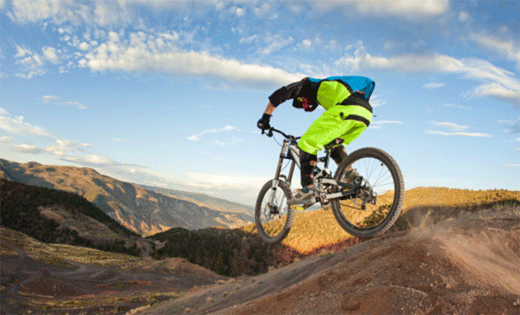 Before making a purchase, research well for getting the best mountain bike at the best price. Once you have made the choice, compare the bike price in the different shop and online store. 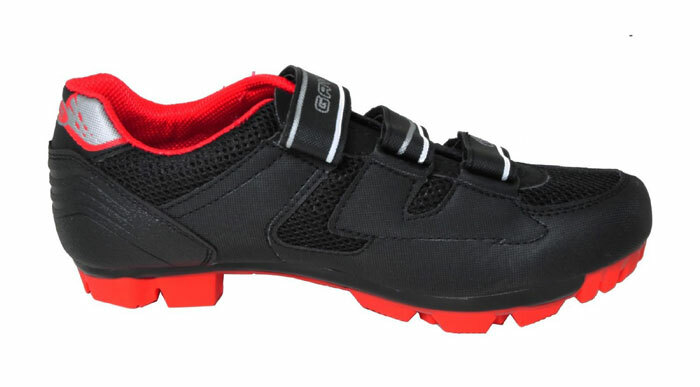 If you are going to purchase your desired mountain bike from an online store then you should keep in mind that many of the bikes don’t come with assembled. So you need to assemble it by yourself. We hope all these tips will help you to buy your desired cheap mountain bikes. So what are you waiting for? Ride it and explore the world!